By Dr. Josh Axe, D.N.M., D.C., C.N.S. If you’re looking to improve overall digestive and gut health, taking both a probiotic supplement, in addition to eating probiotic foods, and also digestive enzyme supplements can have big payoffs. Both probiotics and digestive enzymes are capable of helping to restore balance to the gut microbiome, aiding in digestion and curbing common ailments like gas, abdominal discomfort, and bloating. Probiotics and digestive enzyme supplementation may be especially beneficial for people with: autoimmune diseases, chronic digestive issues such as diarrhea or inflammatory bowel disease, inflammatory skin conditions, food allergies or intolerances, asthma, or infectious diarrhea caused by viruses, bacteria, or parasites. What are probiotics and why are they beneficial? Probiotics, which are defined as “microorganisms introduced into the body for their beneficial qualities,” are types of live bacteria and yeasts that are especially beneficial for your digestive system and immune system. Combatting GI issues like bloating, constipation, diarrhea, etc. These healthy bacteria can be acquired both by eating fermented foods/beverages and by taking probiotic supplements. In order for probiotics to be most effective it’s ideal to also consume prebiotics, which are found in certain foods like raw fruits and vegetables. Prebiotics help “feed” probiotic bacteria so they can thrive. What are digestive enzymes and what do they do? Digestive enzymes are protein catalysts used in the digestive system to help break down large macromolecules found in the foods we eat (carbs, protein and fats) into smaller molecules (such as glucose, nucleotides, amino acids and fatty acids) that our guts are capable of absorbing. The human body makes various types of digestive enzymes to break down different foods. Enzymes are synthesized and secreted in different parts of the body where gastrointestinal fluids are found, including the mouth, stomach, duodenum, intestines, and pancreas. In supplement form, digestive enzymes are sources from either fruits (most commonly pineapple or papaya-based), animals including ox and hogs, and plant sources like certain yeast and fungi. Breaking down food into its smaller molecules that can be used for energy. Enzymes help to enhance nutrition absorption and can lower the risk for nutritional deficiency. Killing harmful bacteria and microbes that enter the GI tract. Helping to prevent damage to the lining of the intestines, also known as intestinal permeability or leaky gut syndrome. Providing anti-inflammatory properties and helping to keep the immune system from overreacting. Decreasing symptoms like acid reflux/heartburn and irritable bowel syndrome. Counteracting enzyme inhibitors naturally in foods like peanuts, wheat germ, egg whites, nuts, seeds, beans and potatoes. Reducing symptoms of intolerances/sensitivities to foods that contain gluten, casein and lactose (like wheat and dairy). 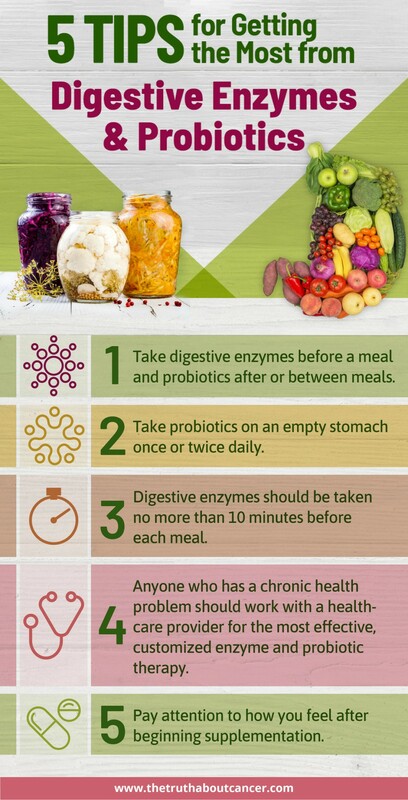 People who deal with enzyme insufficiency (a lack of digestive enzymes) can benefit from enzyme supplementation in order to help move the digestive process along. Probiotics and digestive enzymes have several things in common – for example both are located in the digestive tract and help with functions such as nutrient absorption and immunity. Certain probiotic bacteria even help to produce certain enzymes. One example is the bacteria strain Lactobacilli, which enhances activity of the enzyme called lactase that breaks down sugar found in dairy products. Both can be obtained from plant foods and fermented foods, such as cultured vegetables and dairy products. In supplement form, both are often recommended for people dealing with on-going digestive issues, including those that can be serious and debilitating such as inflammatory bowel disease (IBD). On the other hand, there are some differences between probiotics and digestive enzymes. The human body cannot make its own probiotics, and probiotics are more heavily concentrated in the intestines, as opposed to enzymes which are widespread throughout the body. In addition to facilitating digestion, another way that probiotics and enzymes work together to enhance health is by supporting functions of the immune system. Enzyme insufficiency can contribute to low nutrient absorption, which takes a toll on the immune system. Both enzymes and probiotics help support absorption of key nutrients – including amino acids, fatty acids, and B vitamins – while also helping to defend against accumulation of harmful microbes in the intestines. Research also suggests that probiotics can help usher food through the GI tract by affecting nerves that control gut movement. This makes the main job of digestive enzymes, to break down food, easier and more effective. 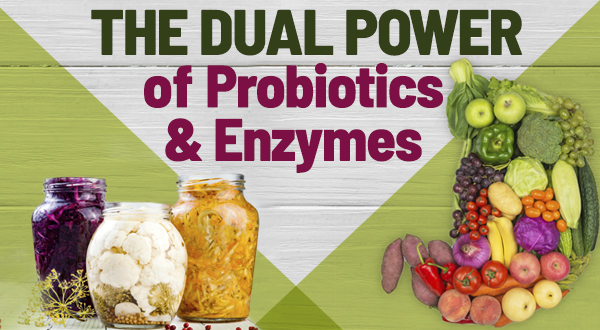 So, who can benefit most from the synergistic effects of probiotics and digestive enzymes? And what are some common reasons that people may be lacking enzymes and probiotics? Many people can benefit from enzyme and probiotic supplementation because their diets don’t provide adequate amounts of these essential compounds. Not eating many raw foods, eating low amounts of fruits and vegetables, eating lots of acidic foods that alter the body’s preferred pH level (such as meat and processed grains), and consuming foods grown in poor quality soil that is low in nutrient content are some major contributing factors to digestive enzyme and probiotic insufficiency. Other causes can include: use of antibiotics, chronic stress, alcohol consumption, smoking, and frequent use of NSAID pain killers. Additionally, enzyme production typically declines with age and can potentially be made worse by genetic factors and illnesses. Taking certain medications and battling a number of chronic diseases – including liver disease, pancreatic diseases and cystic fibrosis – can also contribute to low enzyme levels. Some supplements contain both probiotics and digestive enzymes within one capsule, often which are taken in split doses over the course of a day. If taking these supplements separately, it’s recommended that you take digestive enzymes before a meal and probiotics after or between meals. Many people experience the best results when taking probiotics on an empty stomach once or twice daily. Ideally digestive enzymes should be taken no more than 10 minutes before each meal. Anyone who has a chronic health problem, such as liver disease, cancer, pancreatic insufficiency or gallbladder disease, should work with a healthcare provider for customized enzyme and probiotic therapy that will be most effective. In order to know the dose that’s best for you, pay attention to how you feel after beginning supplementation. You may need to decrease your dose if you experience side effects like an upset stomach, diarrhea, gas, and bloating. These are most common for the first couple of days after you start taking them, however if they persist this is a sign that another type of probiotic or enzyme may be a bitter choice. In terms of which digestive enzymes are best to take, this really depends on the person, since different people lack different enzymes. Digestive enzymes are also nutrient-specific and help with absorption of different foods, so you may need to take several different types and experiment with combinations in order to find what best supports your digestion. For broad effects, choose a high-quality enzyme formula that contains various types of enzymes, such as: amylase, cellulase, phytase, lactase, lipase, invertase, peptidase, and others. When it comes to purchasing a quality probiotic supplement, look for a product that includes multiple probiotic strains, since each type has unique benefits. Some of the most well-researched probiotic strains include: Bacillus coagulans, Lactobacillus rhamnosus, Bifidobacterium bifidum, Lactobacillus plantarum, Lactobacillus acidophilus, and Lactobacillus gasseri. Ideally opt for a shelf-stable supplement that contains live cultures, has at least 10–20 billion CFUs, contains prebiotics, and doesn’t contain fillers, preservatives, or added sugar. While supplementing is certainly convenient and has many benefits, it’s probably even more important to get probiotics and enzymes directly from your diet by emphasizing plant foods and fermented foods – like yogurt, kefir, kimchi, or sauerkraut for example. Not only do these foods provide healthy bacterial strains, but they also supply you with nutrients like calcium, potassium, fiber and more. Additionally, you can consume natural digestive enzymes from plant foods (ideally in raw form) including pineapple, papaya, mango, kiwi, raw honey, avocado, bee pollen, and apple cider vinegar. Remember that prebiotics (or soluble fiber) feed your good gut flora, so make sure to eat lots of high-fiber foods like a variety of veggies and leafy greens, apples, beans, berries, flaxseed, and 100% whole grains. 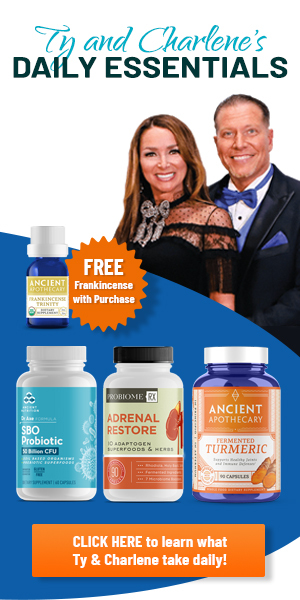 Learn more about my Daily Gut Health Kit with 3 supplements to help you tend to your gut. Discover the Daily Gut Health Kit & Get 20% off Today! Prebiotics help “feed” probiotic bacteria so they can thrive. Digestive enzymes are protein catalysts used in the digestive system to help break down large macromolecules in food. Both enzymes and probiotics help support absorption of key nutrients. Many people benefit from enzyme and probiotic supplementation because their diets don’t provide adequate amounts of the essential compounds they need. 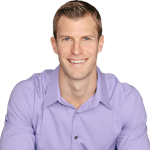 About Dr. Josh Axe, D.N.M., D.C., C.N.S. How about if a person suspects SIBO is present? Would eating fermented foods and taking probiotics and prebiotics worsen issues? I’m so sorry to hear about this – I’ll be sure to pray for you and your husband. Hi Candace, I am not a practitioner, just a learner like you. I also am like you, and presently my wife and I are trying a locally made organic, plain, Sauerkraut https://benourished.co.nz/products/just-kraut-raw-sauerkraut/ limiting it strictly to 1/2 Teaspoon full on evening meal for my wife, and 1 Tspn for me per day. Our logic is to use this to slowly repopulate the Gastro Intestinal Tract with favorable bacteria, while hopefully displacing the unfriendly bacteria, with the potential bonus of it being raw cabbage, as we heard that raw organic cabbage juice may heal ulcers. The trick has been for us to be disciplined not to overdose, and to stick with the program if we can, even if we feel a little out of sorts in the G.I.tract, or have a little diarrea from time to time. My wife had to skip it for two nights running, because she was getting too delicate inside, then she got “back on the horse”. I have missed no doses for about 4 weeks now, and feeling the ulcers slowly shrinking. The reason we are D.I.Y. ing it is because we ran out of money for experts a long time ago, but still want to live! If you want to get some idea of my journey so far, see Joe-Susan Healy on Facebook. We are so blessed to have learned people like Dr. Axe, to share so much wisdom with us. 🙂 – Joe. i’d love to give all this to my family. unfortunately, even though i’ve been doing this for lots of years and am a retired rn with studies in oriental medicine, eat mostly vegitarian etc, i’m too close to get any acknowledgement for my ideas apparently. i just have to live my walk. I am so grateful that I discovered your web site, It is the best Information , I have found yet for gut health, Until I been reading the information , had no idea, how important the gut is for long life. This is absolutely amazing and humbling to hear, Andrew! Thank you so much for being here and for sharing your love with us. We do what we do for you and people like you all around the world. Wishing you and your family endless blessings and love! What probiotics are best for a person suffering from severe CPTSD, Major depression and anxiety? What is your opinion for taking about 1Tbsp. or Diatomaceous Earth, daily? Is there any side effects from taking this, and do you think it’s necessary? I would like it if you unsubscribed me from your list. Thanks for reaching out to us about this. We’d be glad to assist with this. Please feel free to contact our customer support team with this and they would be more than happy to help you with unsubscribing. They’re available during normal business hours of 9am – 5pm Eastern Standard Time. Hope this helps. 🙂 Please don’t hesitate to let us know if there’s anything else we can help with.